By David Ponce on 04/24/13 • Leave a comment! That seems like a combination made in Hell. Bath salts are all the rage amongst the drug-consuming, face-eating scum of the Earth. Perhaps even more exciting is the fact that Breaking Bad is only three months away from returning to the tube, so it only makes sense to combine the excitement of one with the… allure of the other in a product that Walter White would surely approve of. 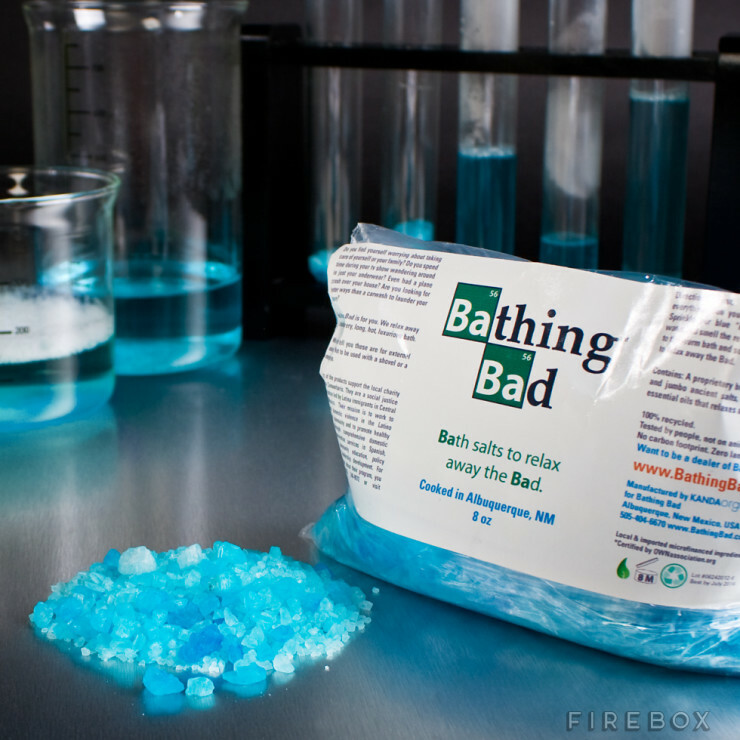 Bathing Bad Bath Salts are “a blend of coarse and jumbo ancient salts and organic essential oils, which create a relaxing and rejuvenating bath time experience.” And if truly made in Albuquerque, New Mexico (as the label seems to indicate), we would be impressed enough to keep these around as a prop, and just not use them to even bathe in. It’s £15 or roughly $23.